Tag Archives for " Amenities "
Canyon Lake has a new club dedicated to the sport of show skiing called the “ShowCal Skiers”. If you’ve ever seen a ski show at Sea World, Cypress Gardens, or Magic Mountain, then you’re familiar with the excitement and crowd pleasing action these show skiers provide. And in fact many of the members of Canyon Lake’s newest club have performed professionally at those ski show venues. Show Skiing has been called the most entertaining discipline in the sport of water skiing. It is fast-moving, exciting, graceful, and most of all, fun to watch. Virtually all aspects of the sport – barefooting, jumping, slalom, tricks, wakeboarding and kneeboarding – are choreographed into one grand performance. Unique to show skiing are ballet/swivel skiing, adagio doubles, adagio trios, freestyle jumping and human pyramids. 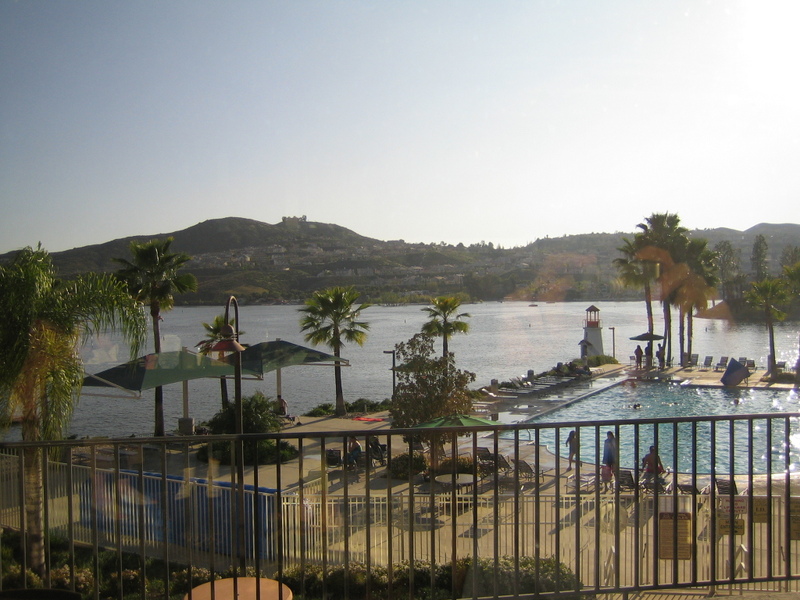 It makes sense to have a club like this in Canyon Lake since it’s already considered a classic water skiing community, and home to numerous national and world champion skiers, boarders and hydrofoilers. ShowCal Skiers bring yet another dimension to the already popular sport. They plan to perform several Ski Shows for our community throughout the summer. And anyone can participate in this new club even if you don’t have any experience – the club is open to all members of the community. Dry land practice is usually on Sundays at Holiday Harbor and rumor is there may be a wet practice on the jump lagoon March 23rd. Best to check out their calendar to confirm dates and times for all practices. If you would like to get more information about the club membership or upcoming events, you can visit their website at showcalskiers.org or contact Mary Tortomasi at 951-722-2010 or Cherie Schiafone at 239-707-6002. Check back here for updated photos of the ShowCal Skiers in action. The Canyon Lake community pool at the lodge is scheduled to open March 17th this year. The pool is always one of the more popular attractions during the summer and fortunately for residents it stays open for an extended season. Right now the pool area is looking spectacular. There’s a lot of new paint, the deck is clean, and the pool water is a sparkling clear blue. The Canyon Lake pool generally closes down in November for the winter and re-opens in early March. The pool is heated for these early season openings and even though we’re getting uncharacteristically warm weather this year, the heated water helps a lot on those brisk mornings. Our large L-shaped pool has Olympic lanes at one end and generally varies from 3′ deep to 6′ deep. There is also a separate kiddie pool for the little tykes if the main pool is too deep or they want to warm up to the big pool. There are also dressing rooms, showers, drinking fountains, handicap lift, shade areas, and vending machines for member convenience. The view of the lake makes it easy to relax and enjoy the day poolside. The pool opens in the spring and fall at 7:00am but is reserved until 10:00am for lap swimming and water aerobics. After 10:00am, it’s open swimming for everyone. The pool is open until 9:00pm Sunday through Thursday and until 10:00pm on Friday and Saturday nights in the summer and is open until 8:00pm in the spring and fall. Water aerobics classes are a great way to get some low impact exercise and socialize with a fun group of fellow swimmers . Classes are offered Monday through Saturday at 8:30 in the morning for only $2 per class or $25 per month. 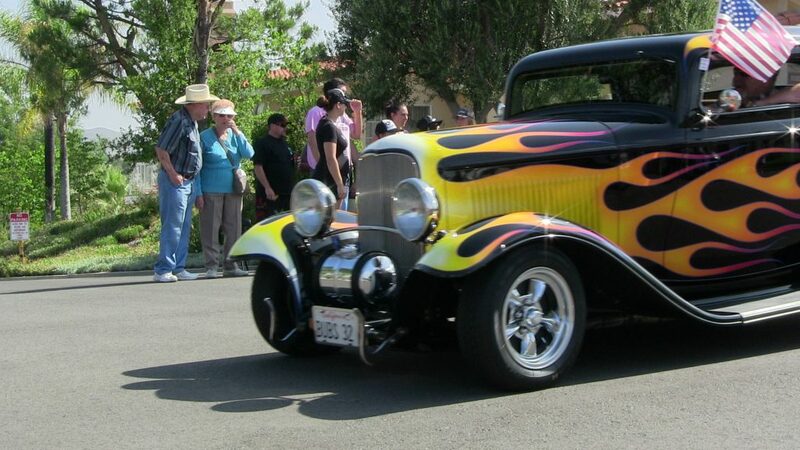 Contact the Canyon Lake POA for more information (951)244-6841 x618. Bring your POA member card, you may be asked to show it. Member must accompany and stay with guests, six guests maximum per property. Direct supervision of children under the age of 5 is required. Kids under the age of 14 must be accompanied by an adult to the pool. 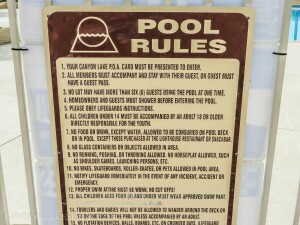 Also note that there is a pool attendant but no lifeguard on duty so be sure to keep an eye on inexperienced swimmers. 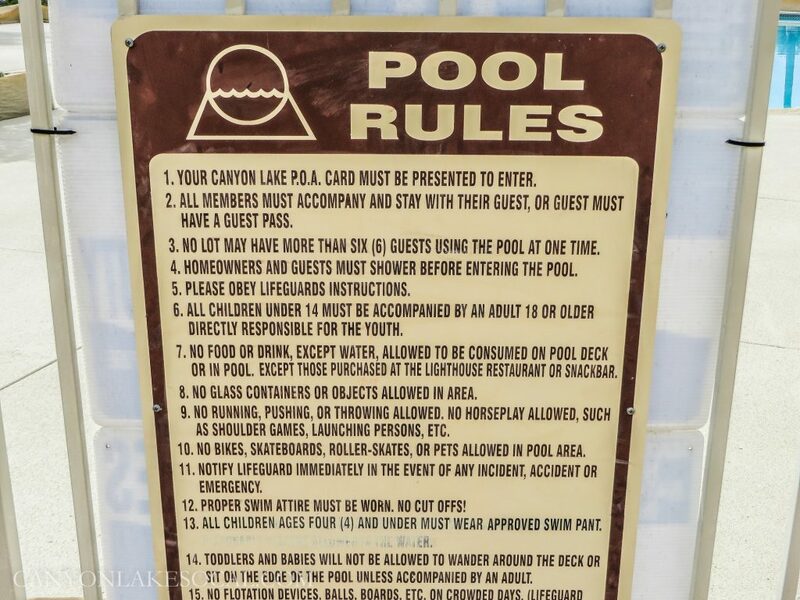 You can download a complete list of pool rules and guidelines here. 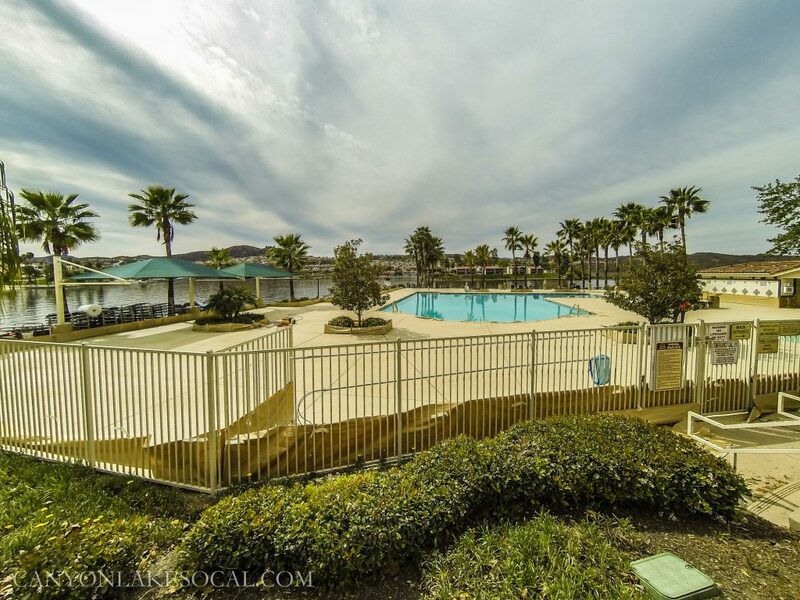 So whether it’s for exercise or fun, head over to the lodge and enjoy one of Canyon Lake’s best amenities this year. See you at the pool! 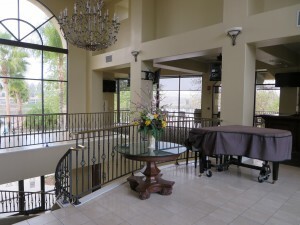 The Association will be starting the expansion of the bar and lounge area at the Lodge on March 3. This project has a six to eight week timeline. 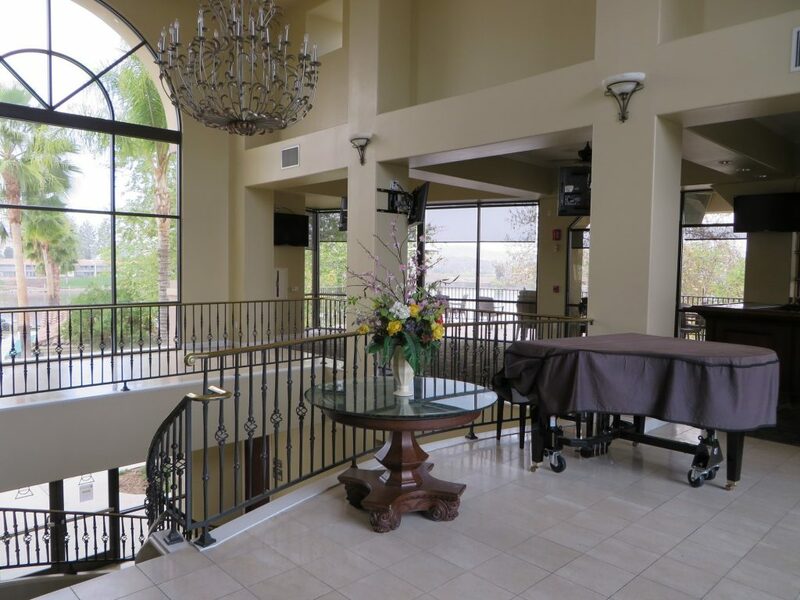 The plan is to make a larger bar and lounge area at the Lodge by enclosing the covered patio, as well as remove the center staircase to create space for a new dance floor. The current “L” shaped bar will be replaced with a new expanded “U” shaped bar that will more than double the existing seating capacity of the whole bar area. The uncovered patio space outside would still remain. The dining area will be enclosed with double doors and the existing fireplace will be removed and replaced with a sound proof wall. Enclosing the dining area and adding a soundproof wall will enable the restaurant patrons to enjoy a private dining room for quiet dinners. The Lighthouse Restaurant will suspend services in both the restaurant and bar area beginning March 3. The restaurant will only be open for special events and holidays such as Easter Sunday and Mother’s Day. The kitchen, Holiday Bay Room, Pool View Room and Sunset Beach Room will still be available during the project, so banquets and parties will still be able to take place during this time. For the lower level rooms, the main access point will be through the dining room elevator located near the entry door of the facility. All restrooms will be accessible on both lower and upper level floors of the facility. Once complete the Lodge will have approximately 1,800 square feet of added usable space. The objective of this project is to make the facility much more functional for residents and increase the revenue the facility brings in. Once complete, there will be a festive grand opening celebration that members are invited to attend. This event will feature signature Lighthouse Restaurant entrees and drink specials. The date and more details for this event will be announced as the project completion date nears. If members have any questions about the closure of the facility or upcoming banquets or events should contact Jeffrey Main, Director of Food and Beverage at 951-244-6841 ext. 723. For more information and updates on this project members are encouraged to follow the Association on Facebook. Check back here for construction and completion photos in the coming weeks. We’re looking forward to the remodel and we’ll see you all down there after it’s done! If you’re reading this, it means you survived Black Friday. And hopefully you’ve enjoyed a great Thanksgiving week with family and friends in Canyon Lake. The holidays are officially here and that means lots of great activities as we wrap up November and head into December and January. Here’s a brief guide to upcoming festivities. Nov 30th, 1:00pm – Small Business Saturday at Canyon Lake Towne Center | Part of a national push to keep holiday dollars local and support small business, the event starts at the Towne Center at 1:00pm tomorrow. Swing by and see if you can fill a few items on your list with local businesses. Dec 1st, 11:00am – Holiday Home Tour | See how a few of your fellow Canyon Lakers decorate for the holidays on this special tour of five homes. 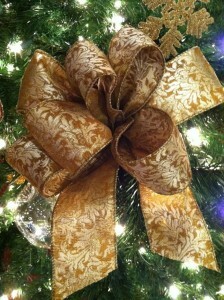 Swing by the lodge early for a Holiday Boutique and a chance to win holiday decorations. Cost of the tour is $15. Dec 5th, 7:00pm – Gary Bonner Concert | Once again this year the Gary Bonner Singers are going to entertain Canyon Lakers with a variety of holiday music at The Lodge at 7:00pm. Get your tickets at the Canyon Lake POA offices before Thursday. Tickets are $25. Dec 8th, 5:00pm – Tree Lighting | Come spread the holiday cheer at The Lodge starting at 5:00 and hang around for Mr. & Mrs. Claus. Please bring a few cans of food to help out the Junior Women’s Club Food Drive. Dec 13th, Evening – Golf Cart Club Toy Drive | After a successful event last year, this year’s parade and toy drive is expected to be even better with oodles and oodles of toys for children in need. Dec 14th, 9:00am – Breakfast with Santa | His sleigh isn’t ready yet, but his Mastercraft is! So join him at the Ski Club Pavillion as he skis in for photos with the kids. Pancakes will be served! Dec 14th, 3:00pm – Choraleers Christmas Concert | The Canyon Lake Choraleers will be getting everyone in the spirit with their annual concert. Tickets are $8. Dec 14th, 5:00pm – Boat Parade of Lights | Grab a thermos full of hot chocolate or warm toddies and find a spot along the shore or one of our many beaches to watch this fun annual event on the lake. Every year it gets a little bigger and the boats get more creative. Expect to see some old favorites and some new entries. Dec 22nd, 10:00am – Brunch with Santa | He really gets around and on Sunday he’ll be joining the community at The Lighthouse Restaurant for brunch. Another great opportunities to get photos with Santa and enjoy a great meal at the same time. Free for kids under 7 and only $11.95 for kids 8-12. Dec 31st – New Years Eve Party | They’ll be ringing in 2014 at The Lodge as is customary with dinner, drinks and of course champagne. There will also be festivities at the senior center. Jan 1st, 11:00am – New Years Brunch | Crawl back to The Lighthouse restaurant for this special brunch to celebrate the new year. $19.95 if you go to the New Year’s Eve Ball. January 4th – Polar Bear Ski Day | This event separates the boys from the men, the girls from the women or the sane from the crazy. Come out and take a run in your Bermudas if you dare. As a consolation, there will be a fire and hot cocoa, and you’ll have bragging rights… when your teeth stop chattering. Wow! We have some amazing sunsets. If you’ve never gone down to the lake at dusk and just marveled at the beauty of the sunset over the water, you are really missing out. Try it sometime. Head down to Indian Beach, Holiday Harbor, or the aptly named Sunset Beach and soak it in. It’s a great way to end the day. 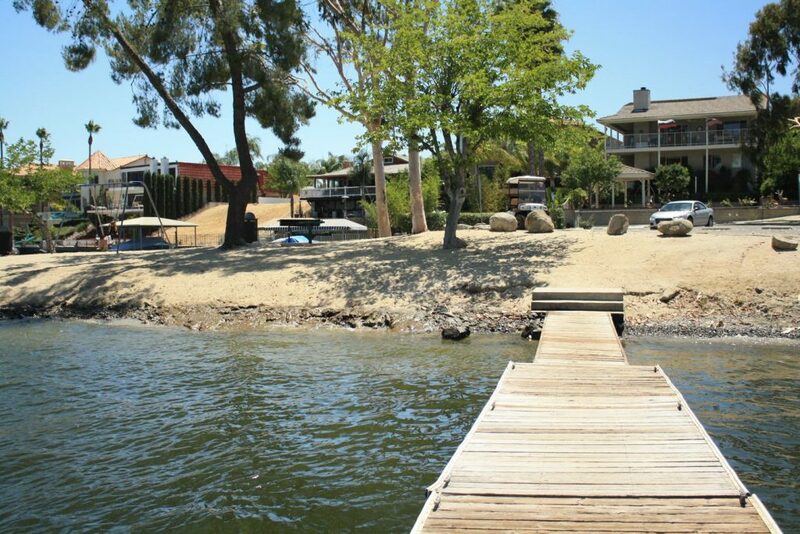 Relatively speaking Canyon Lake is very affordable. Housing prices are reasonable especially for the area and the amenities. The taxes are low at just over 1% for every property in the area including new homes which is almost unheard of in most housing tracts. And our HOA at $248 is still a bargain for everything we enjoy. Look at new home tracts all around and many of their HOA’s are $100-$200 a month and they might get a park, a swimming pool, and some landscaping for the community. 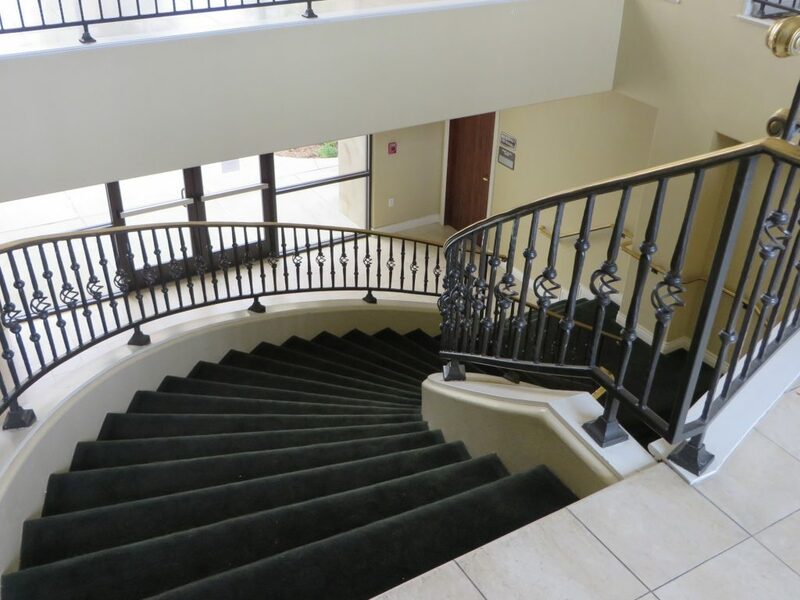 Go to Orange County and the same limited amenities will cost $300+. We have a private lake, gated security, 14 parks and beaches, equestrian center, tennis courts, lodge, campground and so much more. It’s really pretty amazing that our dues pay to maintain all of that and much of it’s use is free or extremely cheap. The lake that draws so many of us here is an incredible resource. We have the ability to boat, fish, water ski, wakeboard and more. And the best part is you’re in the water in 5 minute from anywhere in the community. 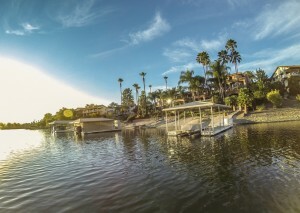 Do you realize that there are only about a half dozen places in California where you can park your boat on the water right outside your back door. It’s such a unique recreation body of water. 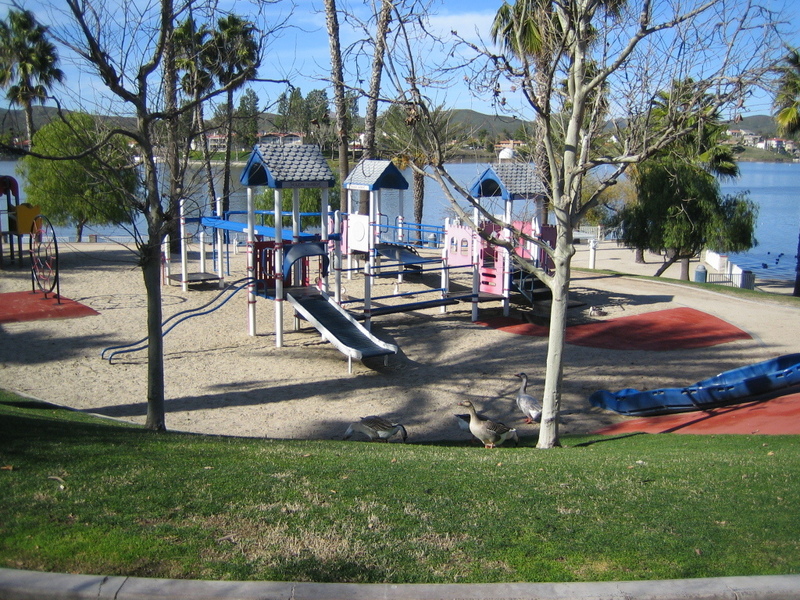 Canyon Lake certainly has some crime, but it’s so minor compared to many other communities. Violent crimes are so rare and most of the local crime is minor vandalism and theft. And for a city with nearly 15,000 inhabitants, the crime rate is pretty low. Overall, it’s still one of the safest cities in California every year. 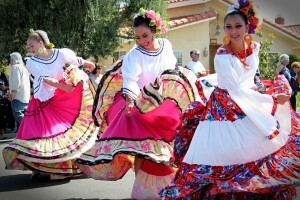 If you’re open to meeting people, there is no shortage of interesting, colorful people in Canyon Lake. We have movie stars, world class athletes, amazing artists, self sacrificing public servants, and more than a handful of heroes not to mention all the good folks who have lived here at one time or another and left their mark on the community and humanity. Want to meet some of them? 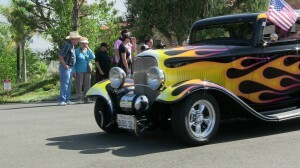 Just get out to the many events that are held inside the community every year. It’s been said that Southern California is America’s playground. And we are smack dab in the middle of it. Snow skiing an hour and a half away. The beach less than hour. Los Angeles, San Diego, and Palm Springs all easily drivable. There is so much richness, culture, art, and recreation all around us in every direction, that it’s hard some days to narrow down what to do! The lake and our location and climate bring us some amazing winged wildlife – spotted owls, blue herons, hawks, ducks, geese and more. If you are a bird watcher or wildlife enthusiast, you don’t have to go far to see some beautiful species. Our closeness as a community brings out the philanthropy and giving in others. Not many places have so many people willing to help out others in the community by volunteering their time and money the way Canyon Lakers do. And special recognition really goes to the many clubs that give so selflessly through their events and fundraisers like The Lions, Jr. Women’s Club, CLAWS and many others. And let’s not forget the Tuesday Work Group that does a lot of beautification projects on the golf course for free. What else can we say? It’s the day before Thanksgiving and the temperature is 72 degrees and it’s a beautifully sunny day with not a cloud in the sky. It would be an understatement to say that Canyon Lake is a recreational community. With events like, Fiesta Day, Taco Tuesday, Christmas Boat Parade, The Car Show, 4th of July Spectacular, Weekly Farmers Market and more it’s impossible to get bored around here! To have so many well organized events that are within a walk or golf cart’s drive from your home is really something special that most cities and communities would envy. Canyon Lake really is something special and a place to be thankful for. What part of our community are you thankful for and what other blessings do you have this Novemeber that you want to say “Thanks” for? Leave us a comment and let us know. 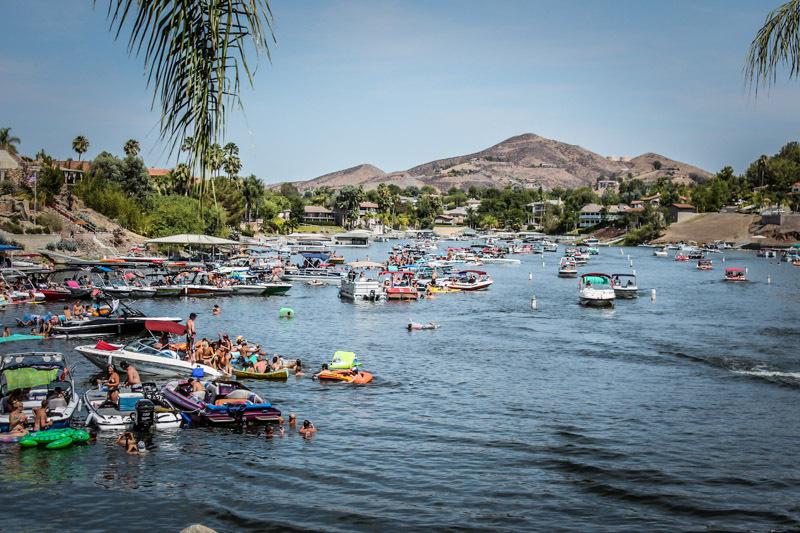 Summer is over in Canyon Lake, now what? Well, maybe not officially over but Labor Day has passed so no more big summer holidays. Taco Tuesday is finished for the year. No more Friday night movies at Holiday Harbor. But don’t let that stop you from having some fun in Canyon Lake because fall is a great time for events and really probably the best time for getting on the water. Average daytime temperatures typically run in the 70’s and 80’s and the water temp is still close to 80 degrees. Most of the summer crowd have put the boats away so there is much less traffic on the lake this time of year. 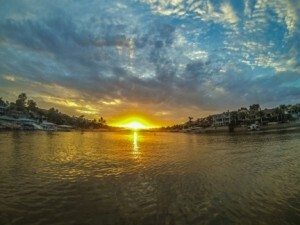 It’s really ideal if you want to get some wakeboarding or waterskiing in. It’s also a great time to play golf or maybe learn the sport for the first time. 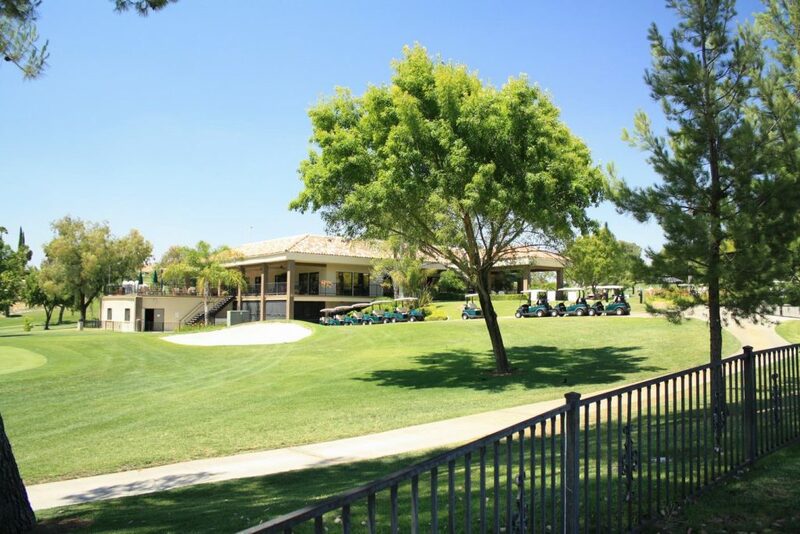 Cooler temps make the golf course much more enjoyable and if you want take lessons, the guys at the pro shop offer outstanding instruction at a reasonable price. Just keep in mind that the golf course is closed for over seeding for 3 weeks in October so check with the pro shop to get the exact dates. Sunday Brunches – The Lighthouse is open every Sunday 10:00 am – 2:00 pm for brunch and there is no better time or place to relax and take in the beautiful fall days. Miss Canyon Lake Pageant – Tickets are still available for Saturday night’s pageant and the crowning of Miss Canyon Lake. You can purchase tickets at the event for $10 so come out and support all the ladies who have worked so hard to represent Canyon Lake. Ski Tourney – The Canyon Lake Ski Club is running their fall tourney this weekend at the North Causeway. If you want to see some impressive rooster tails, get out there Saturday and Sunday at 8:00 am and cheer on the skiers. For big air, head to the Ski Jump Lagoon at noon Saturday. Little Shop of Horrors / Canyon Lake Community Theatre – The biggest event of the year for the Community Theatre! Come out to Indian Beach for an evening of entertainment under the stars while the Theatre rolls out Little Shop of Horrors. It really is an impressive event for Canyon Lake with a professionally built stage and great talent from the community. Shows run in the evenings for two weeks September 19th-21st and 26th-28th. Shows start at 7:30. Western BBQ – Come out for some great grub at Eastport Park October 5th from 5:00 pm to 10:00 pm. Chili Cook-off – One of our favorite events every year is the chili cook-off at Holiday Harbor. 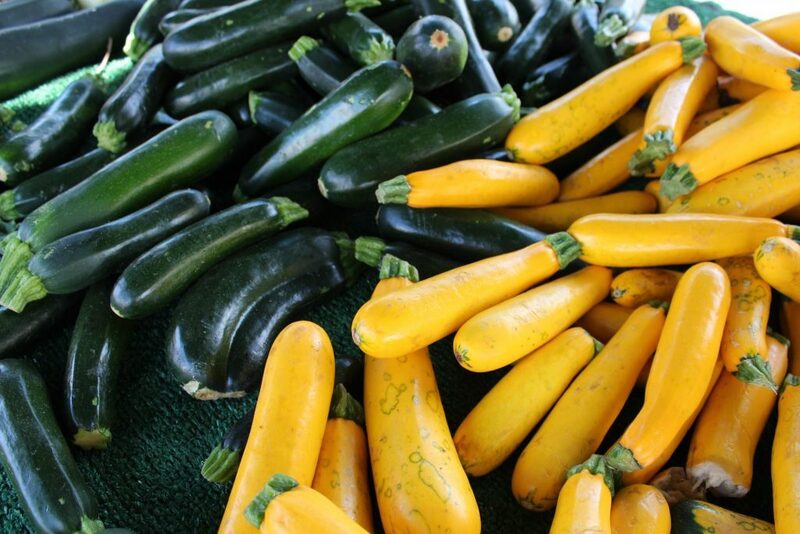 Typically over 20 great cooks show up to vie for 1st place but your taste buds are the real winners. Beer and wine are usually available and the cost is reasonable. This year’s event is October 19th. Oktoberfest – This rowdy and fun event will be held in the Towne Center this year on September 21st from 5:00 pm to 9:00 pm and will feature all the great food, drink, and fun that Oktoberfest is known for. 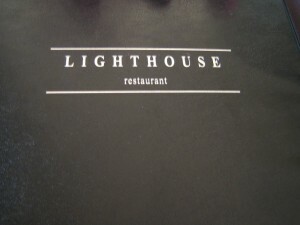 I decided to give the new Lighthouse Early Bird menu a try this weekend and I have to say I was impressed at the quality of food and service for the price. The wife and I showed up around 5:30 the Saturday before Easter to find that the nearby bar and patio were busy with Happy Folks enjoying a Happy Hour with a live husband and wife musical duo which really added to the ambiance of the Lodge upper floor. We were seated quickly at a nice table by the window overlooking the pool deck and lake with historic Canyon Lake lighthouse just beyond. Our waitress Rachel showed up soon and was very attentive and had some great suggestions regarding the menu. We were pleasantly surprised at all the choices on the cocktail menu and the reasonable prices as well. I opted for a Rock n Roll margarita for under $5. Dinner rolls and water came out quickly. 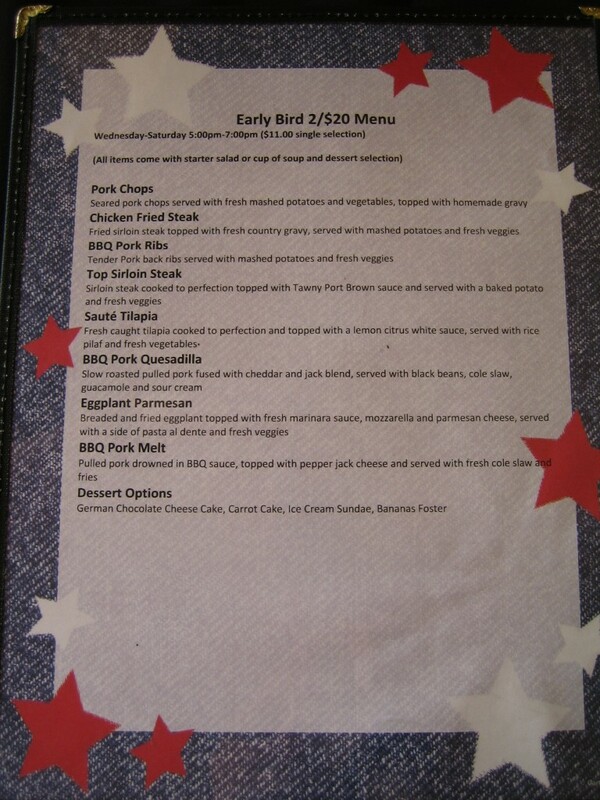 The early bird 2 for $20 menu had 8 meal choices all which included a soup or salad and a dessert. 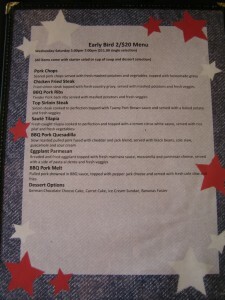 There were a few pork dishes, 1 fish, burgers, steaks, and an eggplant parmesan to choose from. I picked the sirloin with baked potato and veggies and the wife tried the pork chop with mashed potatoes and veggies. The salads arrived right away and the main dishes were up within 10 minutes. At $10 a plate I wasn’t expecting anything extravagant, but the food was hot and taste was on par. The amount of food between the salad, main course, and dessert was certainly filling and worth the price. The sirloin and the pork chop were both cooked right on. The staff bussed our empty plates quickly and Rachel was out just as fast with the dessert choices which included Bananas Foster, German Chocolate Cake, Sundae, or Carrot Cake. We opted for the German Chocolate and the Carrot Cake. These are not world class pastries by any means, but they were delicious and filling. Overall, it was a great evening at a great price. There were about 8 other parties in the restaurant at the same time and the noise level was quiet and relaxing. 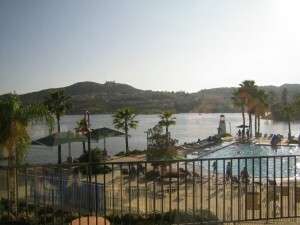 And of course the view of Canyon Lake and activity by the pool made the atmosphere all the more enjoyable. Nest time you’re looking for an affordable dinner option, be sure to check out the Lighthouse 2 for $20 from 5 to 7pm Wednesday through Saturday. Expect a pleasurable experience in a nice setting.